WHIST is our first major commission, it received a sold out premiere in April 2017 and is currently on tour. It took 4 years to complete from the initial idea. This piece is inspired by Freudian case studies and Japanese renowned film and theatre maker Shuji Terayama. 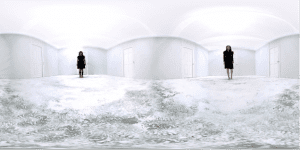 and Augmented Reality and an art installation, in an environment that blurs the boundaries between consciousness and unconsciousness, reality and fiction, the physical and the virtual. Participants will be immersed in a surreal world, exploring the story from one of the 76 different perspectives. Why did we end up with VR? We are professional dancers and our company is called AΦE. We create work that is audience-led, where without their input or action, nothing would happen. We want to give audiences the same visceral feeling and emotions that we get when performing ourselves. Our first encounter with VR was in 2014, seeing someone watched the roller coaster video in VR and saw the potential of creating the total immersion of the participants. It became the medium that gave us the freedom to step away from everything that already existed. We were lucky to meet Happy Finish who helped us all the way to realise the production and agreed to accompany us in this venture as technology partner. Because everything was new – the technology, audience experience, the presentation format – it became an ambitious project, which of course not without challenges but we held it tight and felt that we have accomplished our mission. Our creation always starts with total freedom to its shapes and forms. The ideas can grow from anywhere and any angles. For WHIST the initial inspiration was Minotaur from Greek mythology back in 2013. 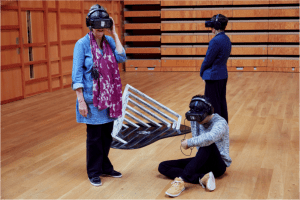 When we first saw the power of VR technology on a TV programme the following year, we immediately connected Minotaur as Freudian’s “monster” in the subconscious that could be confined by a “labyrinth” that we create using VR. We further investigated into Freudian Interpretation of Dream and Uncanny. We visited Freud Museum London where we met psychoanalyst Emilia Raczkowska who led us to explore Freud’s famous case studies “Dora”, “Little Hans” and “Wolfman”. What fascinated us about these characters was that they were real people with real dreams, and were written through Freud’s perspectives. The piece evolved to the constant play between “real/virtual”, “conscious/unconscious” and “dream/fear”. It boiled down to the notion of perspectives in WHIST: physical installation/digital exploration, pre-judgments/intuition, fantasy or phantasy? We come from dance, but for this production, we picked up different skills and knowledge from filmmaking and post-production editing. We really enjoyed the experience, even though at that time was a complete mind-bending exercise at that time and we often confuse ourselves! We orchestrated all elements – the storyboard, the art installation, music, 3D sound, AR so that a) they work together in both the real and digital world; and most importantly, b) choreograph the audience journey the two parallel worlds – the narrative, how they might react, how to make it an instinctive, full body experience (like a human being!) rather than one with controllers. In retrospect, it did come back the round to our roots as choreographers after all! It was a delight to see how much the audiences (or rather, participants) have enjoyed the work. Of course, many were intrigued by how immersive it is. But we also saw them engaging their bodies (consciously/unconsciously, hah!). Some walked around in awe; some let go of sighs; some lied down; some touched the installation – which you are not allowed to do in the museum or a conventional exhibition. As one of them said, “It was an incredibly surprising and full body experience that challenged and inspired”. We think that the VR is a completely new platform – not film, not gaming, not theatre but maybe a bit of all and more? There is no right or wrong and the most important thing is to have a free mind and not to be restricted by the previous method neither the technology. We feel many of the VR experience we see are created with what VR can do and not going beyond. What is so amazing about 360? We already live in 360 since our existence, don’t we? So what can this tool offer the human experience? There are many people hungry of seeing the unknown, and willing to let themselves in new and risk-taking experiences. To develop this technology and ways to go forward we believe is to gather people from different industries who have completely different eyes and mind to create together. We are going to a break from VR after 3 years of hard work making something new from it, but we look forward to seeing what is out there when we are ready for more! 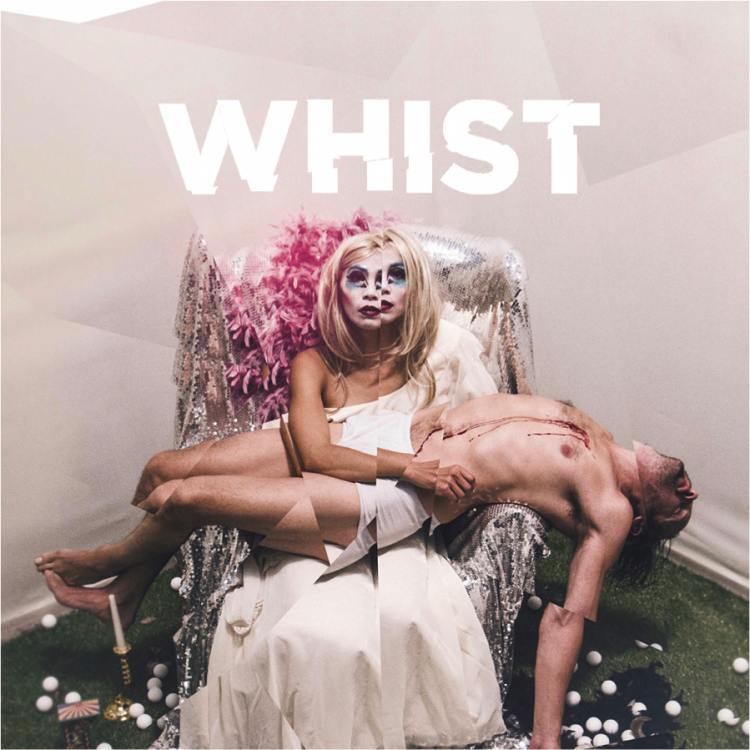 WHIST premiered at The Gulbenkian in April 2017 and continues to tour nationally and internationally. Co-produced by The Gulbenkian and tanzhaus nrw Dusseldorf. Supported by Arts Council England, South East Dance and Happy Finish.